Check out the latest edition of “Manopera: A Wrestling Symposium,” where PWO’s own Nick joins Hosts Chris Butera and “Spaceman” Frank for a discussion about WWE Royal Rumble 2018 and predictions for WWE WrestleMania 34! 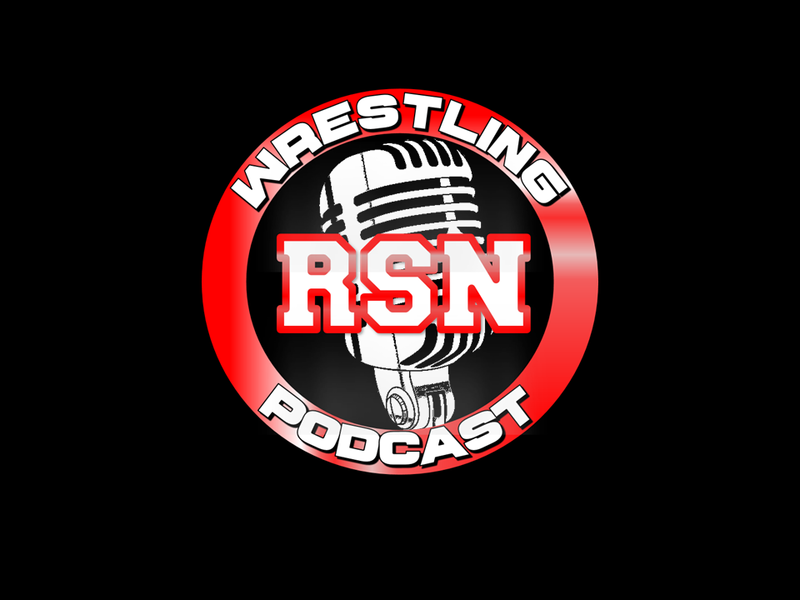 Check out a recent episode of The RSN Wrestling Podcast, where “Big Guy” Rich, “Mastermind” Sal and PWO’s own Nick break down the topic of legends in professional wrestling through various eras, whether it was “Macho Man” Randy Savage, Hulk Hogan, Ric Flair, Shawn Michaels, The Undertaker and more! If WWE in 2016 has taught us anything, it’s that content outweighs logic. After an hour and 51 minute pre-show came a three hour and 26-minute Pay-Per-View for a total of five hours and 27 minutes of air time. Nothing screamed “filler” like interbranded 10-man elimination tag matches, with little consequences. Three of them, to be exact. It’s like watching the World Series between two teams you don’t like. There’s no emotional investment besides the ones who’re directly involved. 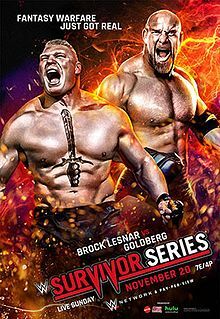 Luckily, the best build ironically went to Goldberg-Brock Lesnar, the personification of the overhyped “Fantasy Warfare Just Got Real” catchphrase. In this case, some things should stay fantasy. 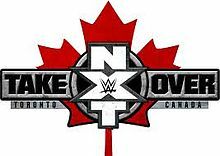 NXT found its way “North Of The Border,” but didn’t lose any luster. Like we’ve come to expect from the TakeOver specials, we had a solid card with some spectacles ready to deliver, which also included Mickie James’ return and a couple of hot rematches for the NXT Tag Team Championship and NXT Championship. By night’s end, we wouldn’t call it a “Perfect 10,” but it was close. With yet another Pay-Per-View in the bag, we were left underwhelmed and disappointed by Raw’s Hell In A Cell. In a show that boasted three main events, three HIAC bouts and the first time a women’s match took place in the structure and main-evented a PPV, there was history made. In the end though, nobody would rank these HIAC matches among the greatest. The show ranged from terrible to great, dependent on where you looked. Luckily, there was some change in directions as some belts changed hands. In an unprecedented period where we had five pro wrestling pay-per-views between Sept. 11 and Oct. 11 between WWE, Ring Of Honor and Total Nonstop Action Wrestling, we were exhausted by Oct. 9 when No Mercy rolled around. Luckily, if you look at that nice poster to the side, SmackDown Live had been headlined by the excellent heel duo of WWE Intercontinental Champion The Miz/Maryse as he was engaged in a “Title Vs. Career” feud with Dolph Ziggler. That feud would become synonymous with this show for reasons we’ll explore below. It also helped that we had a Triple-Threat main event for the WWE World Heavyweight Championship between Champion AJ Styles, Dean Ambrose and John Cena that actually opened the show for a change. Cool on the surface, but that brought us to the problem – one disorganized card. After SmackDown set the standard for brand-exlcusive Pay-Per-Views with Backlash, it was time for Raw (the supposed “A-Show”) to deliver. Unfortunately, a three-hour show marred by overbooking and convoluted logic has only proven that Raw has been dreadful. If anybody needs an example of what an “eh” show will deliver, look at Clash Of Champions. On paper, things looked salvageable, but like we thought, Raw’s flaws overtook what would’ve been great and turned it into what could’ve been. Like it or not, WWE’s new 19-a-year Pay-Per-View schedule is upon us. 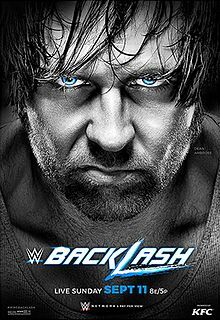 While six-hour marathons like SummerSlam don’t make it sound delightful, the idea that we could get shows like Backlash gives us hope. You knew the draft truly set in when we got the first-ever SmackDown Live-Exclusive PPV on Sep. 11. With some things promised like the crownings of the inaugural WWE SmackDown Women’s and WWE SmackDown Tag Team Champions and a few shiners like the WWE Intercontinental Championship match between Champion The Miz and Dolph Ziggler and the WWE World Heavyweight Championship match between Champion Dean Ambrose and AJ Styles, we had much to look forward to. While that cliche can apply to most things in life, it especially applies to NXT, particularly around SummerSlam weekend. 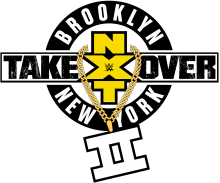 Again, despite efforts to divert attention to the six-hour spectacle that is SummerSlam itself, it only goes to that of its previous-day predecessor, NXT TakeOver: Brooklyn. Last year, 15,000 Brooklynites held witness to one of WWE’s matches between WWE Women’s Champion Sasha Banks and Bayley. While this year’s bouts didn’t capture that match’s emotional whirlwind, just like every previous TakeOver special, we left each contest with a “talking point” of some sort.